There are typically discounts accessible to senior citizen and smaller kids. Find out by contacting your nearest pool in Canada. Are you on holiday and would like to hold fit and healthy? Swimia.com offers you the easy and quickest strategy to find pool near Canada. 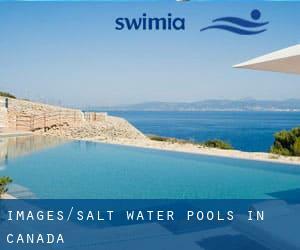 Swimia.com has the most up-to-date database about Salt Water Pools in Canada. Looking for Pools? A lot of of them belong to gyms or sport centres which also present lessons. Water sports are increasing especially in elderly population sectors who have suffered some type of muscle or bone damage. These would be the Salt Water Pools in Canada other users have reported. Are you a local and your pool is not listed? Contact us to ADD IT. It's free! Let us tell you a secret to switch off while you are in Edmonton: just pick out a Pool in Edmonton and plunge into the water! There's no far more productive strategy. Without a shadow of a doubt, swimming in Calgary could be the ideal method to unwind immediately after function. Take a couple of minutes to browse Swimia's catalog to find a Swimming Pool in Calgary. Whereas Ottawa is one of the six most populous cities in Canada with nearly 812.129 residents, you shouldn't miss that one if you're going to Canada. Holding an estimated population of 1.837.969, Vancouver is among the most important cities in Canada. Check all the Swimming Pool in Vancouver and its surrounding area. Swimming is really a great concept to keep your body active during your visit to Montreal (Canada), or even if you are a local. Swimia assists you to find your closest Swimming Pool in Montreal. It's hard to visit Canada without dropping by Toronto (with 4.612.191 residents). 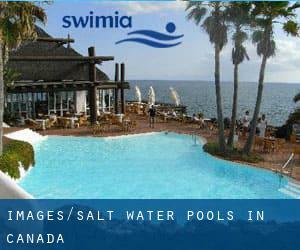 Presently Swimia is showing you all the Swimming Pool in Toronto along with the closest pools situated in its vicinity. Updated on 2019 228 - 12 Avenue S.E. , High River , AB (Postal Code: T1V). This sports centre offers 25 meters, 6 lanes, Salt Water, Indoors. For this Swimming Pool, only phone number is number here. Campus Centre , 1301 - 16 Avenue, N.W. , Northwest , Calgary , AB (Postal Code: T2M 0L4). Among all the activities provided by the centre, if you are interested in swimming you may delight in 25 meters, 6 lanes, Salt Water, Indoors. If you'll want to contact this Swimming Pool, e-mail address and phone number are both number. Updated on 2019 405 Spray Avenue , Banff , AB (Postal Code: T0L 0C0). Swimmers like you have reported 32 meters, 2 lanes, Salt Water, Indoors. Also, you will find 20 meters, Salt Water, Outdoors. Just in case you would like to make contact with this Pool just before dropping by, we only know the phone number. 11430 - 68 Street N.W. , North , Edmonton , AB (Postal Code: T5B 1N7). Among all of the activities offered by the centre, when you are interested in swimming you may enjoy 25 meters x 16 meters, 6 lanes, Salt Water, Indoors. If you need to contact this Pool, email address and phone number are both number. 5175-51st Ave. (On Highway 13) , Killam , AB (Postal Code: T0B 2L0). Among all the activities offered by the centre, for anyone who is thinking about swimming you can expect to appreciate 25 meters, Salt Water, Indoors. Just in case you want to contact this Swimming Pool before dropping by, we only know the phone number. 600 Campbell Avenue , Revelstoke , BC . Swimmers like you reported 25 meters, 6 lanes, 1.2 meters - 4 meters depth, 1.2 meters - 4 meters depth, Salt Water, Indoors. Unfortunately we do not have the email address of this Swimming Pool, but we can give you the phone number. 89 Canova Rd. S.W. , Southwest , Calgary , AB (Postal Code: T2W 6G3). Among all the activities provided by the centre, for anyone who is interested in swimming you will get pleasure from 25 meters, 6 lanes, Salt Water, Indoors. Just in case you want to contact this Swimming Pool before dropping by, we only know the phone number. 212 South Street , Cambridge , ON (Postal Code: N1R 2P4). This sports centre delivers 25 meters x15 meters, 6 lanes, Salt Water, Indoors. For this Pool, only phone number is number here. 114 Seminary Crescent , University of Saskatchewan Campus , Saskatoon , SK (Postal Code: S7N 5B2). Few days ago a regular user of this centre told us they offer 25 meters, 8 lanes, Salt Water, Indoors. Furthermore, they keep in good conditions 25 meters, 8 lanes, Salt Water, Indoors. For this Swimming Pool, only phone number is number here. Updated on 2019 Among all the activities provided by the centre, if you are interested in swimming you may delight in 17 meters, Salt Water, Indoors. If you'll want to contact this Swimming Pool, e-mail address and phone number are both number. Updated on 2019 1215 Stellar Drive , Newmarket , ON (Postal Code: L3Y 7B8). This sports centre offers 25 meters, 5 lanes, 4.5 feet depth, Salt Water, Indoors. For this Swimming Pool, only phone number is number here. 810 - 13 Ave. N.E. , Northeast , Calgary , AB (Postal Code: T2E 8A1). Swimmers like you reported 25 meters, 6 lanes, Salt Water, Indoors. Unfortunately we do not have the email address of this Swimming Pool, but we can give you the phone number. 750 Spadina Avenue , Toronto , Toronto - Toronto / East York , ON (Postal Code: M5S 2J2). Among all of the activities supplied by the centre, when you are interested in swimming you will get pleasure from 25 yards x 30 feet, 3 lanes, 4 feet - 9 feet depth, Salt Water, Indoors. Just in case you want to contact this Pool just before dropping by, we only know the phone number. 60, rue de l’Évêché Ouest , Rimouski , QC (Postal Code: G5L 4H6). Among all of the activities offered by the centre, if you're keen on swimming you can enjoy 25 meters, 4 lanes, Salt Water, Indoors. Just in case you want to contact this Swimming Pool before dropping by, we only know the phone number. 31 Kribs Street , Cambridge , ON (Postal Code: N3C 2L3). Swimmers like you reported 25 yards x 12.5 yards, Salt Water, Indoors. Unfortunately we do not have the email address of this Swimming Pool, but we can provide you with the phone number.